The great white wolf suddenly walks towards Genta and stops right in front of him. "You are correct wise one." Says the Wolf. "And for that you shall be rewarded." The wolf lets out a long howl once again, this time less intimidating than his howl earlier. A brief moment of silence occurs as the confused frogs talk to themselves about what’s going on. And right out of thin air, Gentatsu appears and takes his place beside the wolf, petting him on his head. 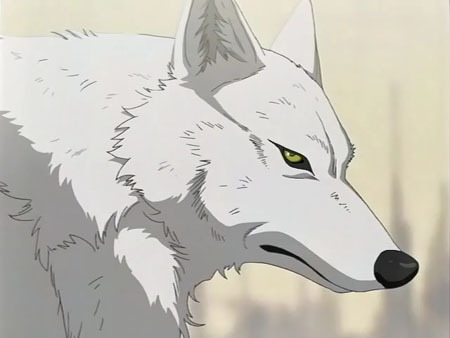 "Well now my little cold-blooded friends," Says Gentatsu as he continuously pets the White Wolf. "Looks like you’ve succeeded and like what the guardian says, you will be rewarded." Gentatsu looks towards Genta. "You are indeed wise to answer such a riddle. Look at your hand." A confused Genta realizes that he is holding something. It was the Ice Gashapon. "This is how it works." Explains Gentatsu. "Each of you is entitled to one wish. 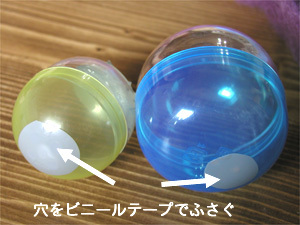 Upon whispering that wish on the Ice Gashapon, the item you wished for will appear inside it. Just open it up and get your item." "Do you have any further questions my little friends?" Says Gentatsu as he is now cuddling the White Wolf as if it were a little puppy. Their chorus echoes throughout the mountains and a moment of silence engulfs the whole mountain. Its as if the mountain itself was listening to their plea. A bone chilling reply. A long pronounced howl of a real wolf engulfs the air. And from the shadows a great white wolf appears before them. "I am the guardian of the mountain and I have been expecting you." Says the wolf who seemed to talk with his mind. The white wolf pauses for a moment, thinking of what sort of question would be suitable for these little frogs. The white wolf pauses for a moment as he sees some of the little frogs try to grasp what he had just said. All of a sudden, the hail and blizzard storms cease, as if they avoided the mountain itself. All could be heard is the eerie howling of the wind between the mountain chasms. The sun comes out briefly to give our little froggy heroes some warmth. Unknown to them, a shadowy figure lurks in the surroundings. It was not clear if this was man or beast. It appeared that it was stalking them on purpose. Our little heroes have yet to discover it’s presence. Meanwhile, back in Gentatsu’s Domain. He could not help but contemplate to himself. "I wonder how those fine young heroes are doing?" He says to himself as he turns off his PSP for a moment and looks at the horizon. "I hope they remember what I’ve told them, or else this will be a short journey."